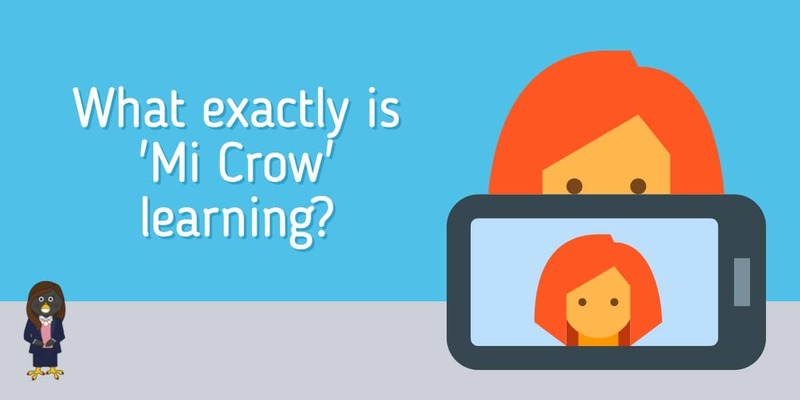 What is ‘Mi Crow’ learning? There’s a lot of information out there that talks about “what micro-learning is?”, but less so about what it isn’t? In this short blog, we’re going to run through what we believe are the key ingredients that go into micro-learning. We’ll also delve a little bit into how we’ve translated that here at Mi Crow HQ. If you asked a hundred people how long a micro course should be, you’d probably get a hundred answers. In fact, we did just that, and the answers ranged from less than 5 minutes all the way up to 15 or 20 minutes. That’s a quite a (wing) span! 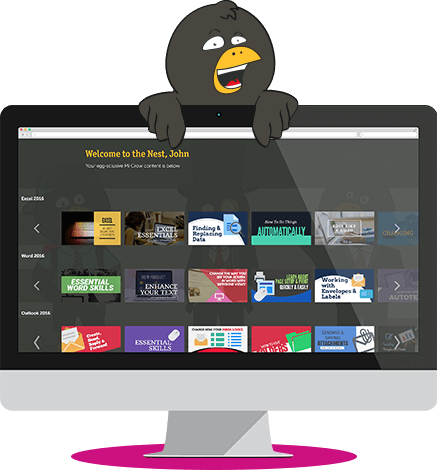 Based on our experience, we feel that for a course to be truly ‘mi-crow’ (there’s another pun) it should be no more than 5 minutes. If you start to stretch beyond that, then you’re in the danger zone. That’s not to say, of course, that every single piece of e-learning should be 5 minutes or less. That clearly isn’t practical or right. However, if you’ve set out to make a piece of micro content, we do feel you need to keep the time tight. But what else constitutes micro-learning (or not as the case may be)? It’s important to recognise that micro-learning is not about teaching everything you know, on a given subject, in one five minute chunk. That’s never going to work. Not unless you’re attempting speed Shakespeare for online learning or something. Instead, for a learner to really be engaging by a micro-course, you should only really focus on one topic at a time. Equally, If you’ve got an old 30 minute e-learning course, just breaking it up into 5 minute pieces doesn’t automatically make it more engaging. You need to start at the beginning, think about your topic and write the content from the bottom up. We’ve been around the block a few times and we’ve seen our fair share of short courses. It goes without saying that we’ve seen great examples and terrible ones too. Another thing that micro-learning isn’t, is the silver bullet for every single learning scenario. The concept is at risk of becoming yet another buzz-word, but that’s possibly because everyone is trying it out and force fitting content into micro-chunks. The reality is that certain types of skills are better suited to this medium. We feel that topics like IT Skills and those of the personal development nature (think Sales, Leadership & Management, Communication etc.) are perfect. You can focus on one aspect, deliver meaningful information to the learner and not get wrapped up in complexity. Other topics like H&S (for example Mental Health courses) and/or Compliance (e.g. Sexual Harassment) are going to better served in a slightly longer course (unless it’s an ‘introduction to’ or raising awareness), where you provide appropriate detail and coverage. Building on that, micro-learning also isn’t the answer to all of your learner engagement needs. Often people will say that micro-courses are more engaging, fun and likely to get people to take them in the first place. All of this is true. However, that also cannot replace wider engagement strategies, business ‘marketing’ and activities to promote learning and development. Yes, micro-learning will get people excited, but if you don’t do the rest, you’re just as likely to see people switch off as if you’d given them a 100 slide PowerPoint deck. In summary, there’s a lot of information out there regarding micro-learning. It’s a great vehicle for creating stimulating content. We’re that convinced we’ve built our whole business around the concept. If you haven’t tried it out yet, don’t be afraid to get in touch or give it a go yourself. Buzzard-word aside, you’ll be hooked!